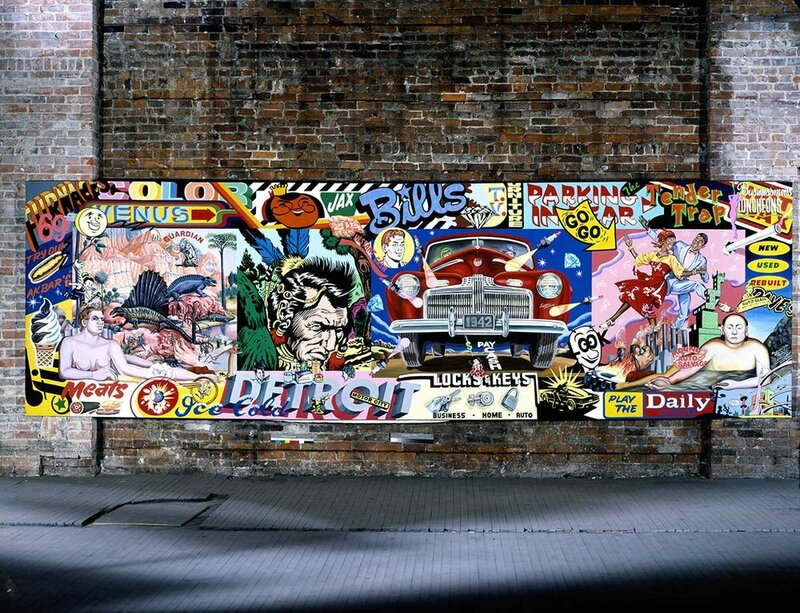 21’x7’ mural for the Whitney Building, Detroit, Michigan was painted in 1986. I painted this in the winter without heat in a large warehouse in downtown Detroit. The borders of the painting are signs from historic Woodward Avenue. Sponsored by the Gallozi-LaPlaca Gallery in New York. 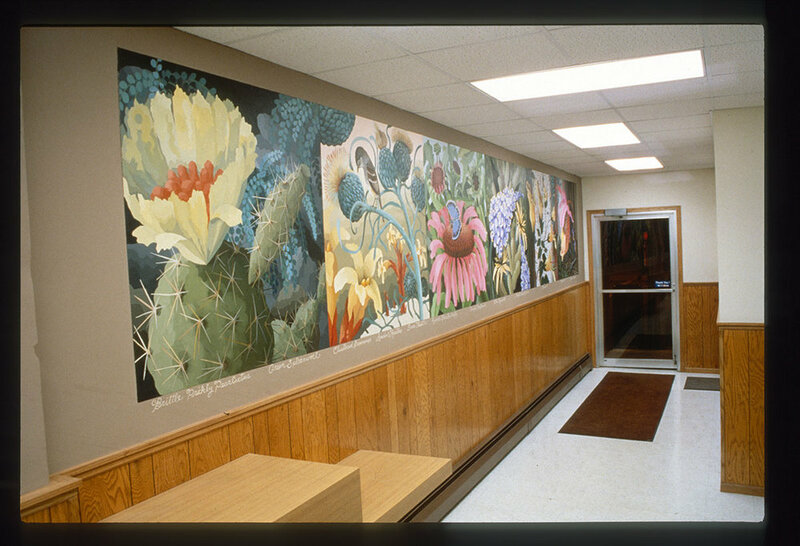 This 36’ painting is a permanent installation created for the historic Post Office in the small town of Fountain City, Wisconsin in 1996. Sponsored by a grant from NEA Public Works and the Fountain City Historical Society. 85’x7’ mural commission - painted train cars which traveled in the United States during the summer of 1986, sponsored by the Michigan Arts Council. With a number of street artists (DAZE, LEE, VULCAN, and DONDI) from New York we worked (with my assistant Rebecca High) in a cold Detroit railway building for four days to create a six car painted train which held a Pop Art Exhibition from the collection of the Detroit Institute of Arts. The train traveled around the US stopping in cities and opening the exhibition to the public. Students from Cranbrook Academy of Arts came out to help and lots of railway workers with their families came to watch us paint and when the train pulled out into a new snow the paint was still wet!